Both sets can be used for probing to a dept of between 1 and 3 meter. 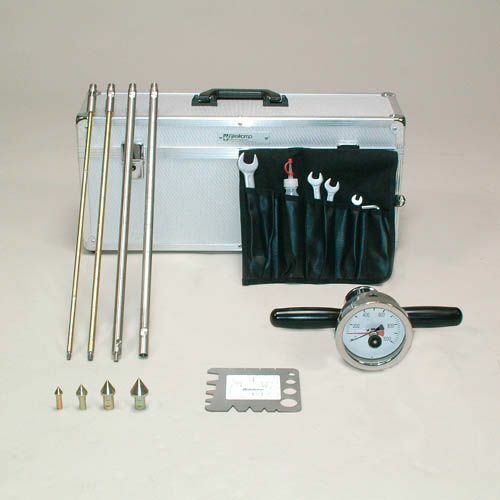 Both sets contain various cones, probing- and extension rods, a measuring instrument with a pressure gauge, tool set, a cone check, a calibration certificate and an instruction manual. The measuring range of the pressure gauge is 10000 kN/m2 (=10000 kPa). The scale range runs from 0 up to 1.0 kPa. The accuracy is +/– 8% in the advised measuring range. 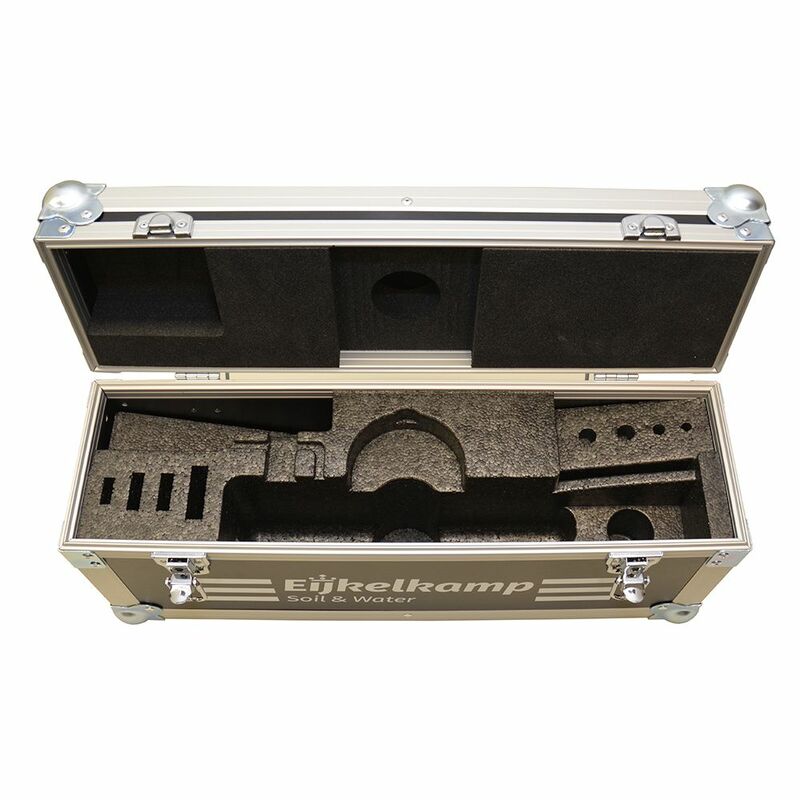 The sets have been packed in compact aluminium carrying cases. 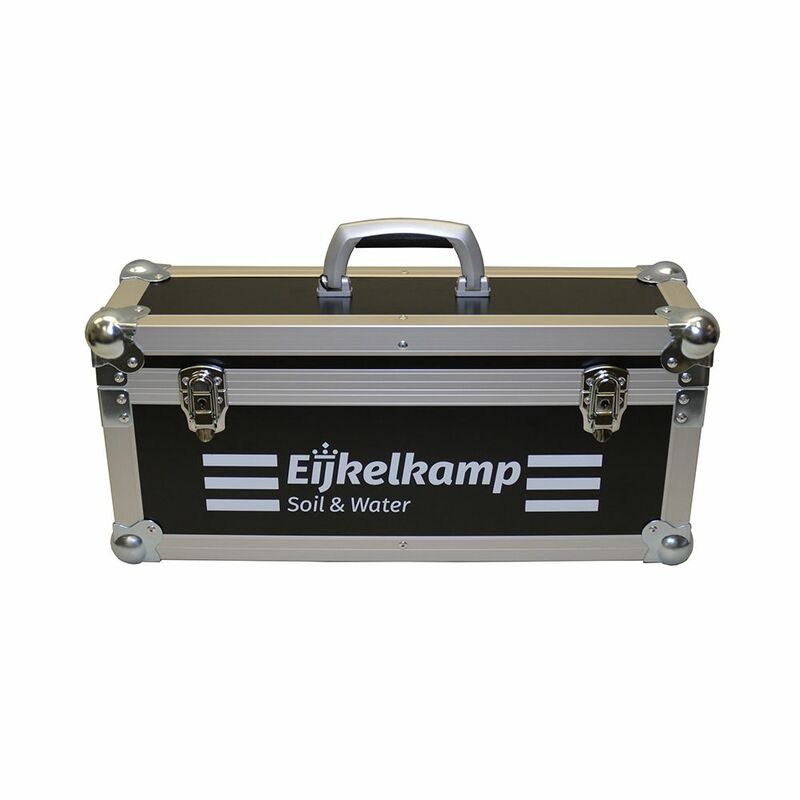 A hand operated auger is included in the set that reaches to a depth of 3 meter, which will enable you to execute research of a soil profile as well, or to penetrate a tougher layer in the soil. The auger is also applied to drill-out the probing hole to avoid adhesion between the probing rods and the shaft wall. Basically the penetrometer consists of a measuring instrument, a probing rod and a cone. The device is pushed perpendicular into the soil by applying equal pressure on both grips. Jerking pushes yields values which are too high and which do not represent the soil. The resistance measured by the cone can be read from the pressure gauge as indicated by the black pointer. The maximum resistance recorded during measurement is indicated by the red dragging pointer. The resistance to penetration (kPa/cm2) of the soil can now be determined by dividing the reading value by the surface of the cone. The value of the resistance to penetration to be expected determines the surface of the cone to be used. For high values the small cone is used and for low values the larger cones are applied. The larger the cone the more accurate the value of the resistance to penetration can be determined. Checking artificial compaction of the soil. Research of the growing circumstances (to be expected) of plants in the soil. Tracing compacted layers in the soil.